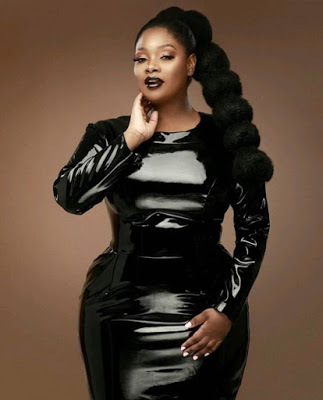 Curvaceous media personality, Toolz is unrecognizable in these new photos. The new mom shared photos from her latest shoot dressed in a black figure-hugging leather dress looking totally different from her usual self. "Sweet is pleasure after pain. #BadAssMomma (something a lil different.)"